A new leak suggest that the Battle Royale game Fortnite for Android will be exclusive to the Galaxy Note 9 and Galaxy Tab S4 for a period of 30 days. Previous information circulating the internet suggests that the game will be exclusive to Samsung devices for up to 90 days. 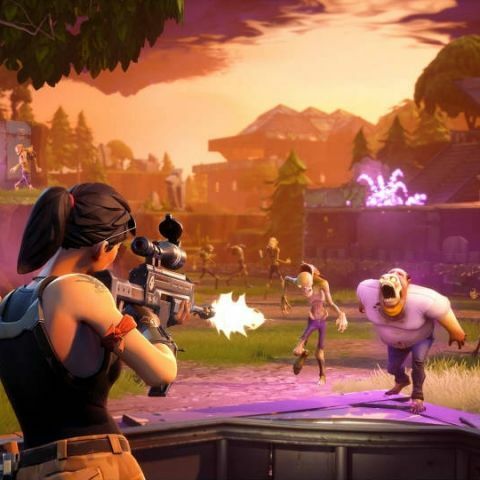 Information circulating the internet suggests that Fortnite for Android will be exclusive to the Samsung Galaxy Note 9 and the Galaxy Tab S4 for a period of 30 days. This new information comes from XDA developers who have obtained a leaked APK of Fortnite for Android. Earlier information circulating the internet suggested that the game would be a Note 9 exclusive only, but this new information has added the Tab S4 to the game's exclusivity. XDA-Developers' website says that the APK of the game has various checks to confirm that it is running on a Samsung device including looking for the existence of the S-Pen. So, if you thought you could simply side load the APK, we say, think again. There is no confirmed information about the time of the exclusivity of the deal. Previous information circulating the internet suggests that the game will be exclusive to the Note 9 (and now the Tab S4) for a period of 30 days after which other Samsung devices will get access to the game for a period of 30 to 90 days making the entire duration of the exclusivity 4 months. Another interesting piece of information was confirmed by Sweeney in the interview. Fortnight for Android would require powerful hardware to run. Currently, he says the minimum requirement would be of that of a Samsun Galaxy S7, which was the flagship smartphone two years ago. Sweeney says that since Epic’s goal was to bring the PC-equivalent brilliance of the game to smartphones, the game does require some high-end hardware to run. Which other devices will support the game is still a mystery as an official device support ist or list of minimum required specifications for Android devices isn’t available.